Youth Success Mentoring (YSM), an in-school volunteer mentoring program that pairs caring community members with students in the Riverview and Snoqualmie Valley School Districts. YSM volunteers work with the same student one-to-one, once a week. Research shows the powerful positive effects on a young person’s personal, academic and community situation that result from a quality mentoring relationship. Parents don’t volunteer in the school their children attend, but can mentor in a nearby school to help make our community stronger. Imagine how we can improve our Snoqualmie Valley community if we all work together! Anyone who has a desire to help a child can be a mentor. Less than one hour a week during the school year is all it takes to show a child that they matter and that they are not alone in their day-to-day challenges. 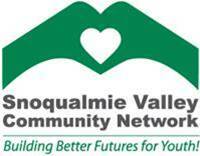 Spread the word about YSM a program of Snoqualmie Valley Community Network and help share the hope of change. It could start with you! Make a big change in a child’s life – become a mentor! Come join informal conversations about special education/ IEPs/504s. At these conversations, you will meet other parents, ask questions, and share your thoughts and needs with the Special Education and Disability Committee for the Snoqualmie Valley PTSA Council. CKMS is looking for a variety of careers to present to 7th grade students. We will be having a Career Day at CKMS on Friday May 31st from 8:25 – 10:00am and our 7th graders would enjoy hearing about community members’ or parents’ careers. This is a fantastic way for our 7th graders to get firsthand knowledge of the potential career paths. We will be looking for nine(9) presenters to share about their career in four 20 min. presentations. If you are interested or know of another adult interested in participating please email or call the counselors Amy Benolkin or Andrea Antone at benolkina@svsd410.orgor antonea@svsd410.org.